My wife has had Amazon Prime for quite some time. Originally, she picked it up for the free 2 day shipping. When we decided to get rid of cable, we started to view Amazon Prime as more of a streaming video service that provided free shipping benefits. Recently, that view has changed once more, when my daughter saved up enough money and bought a Kindle Fire HD. The device integrates with all the benefits you receive for being an Amazon Prime member. I was shocked to learn about all the benefits I was ignoring, and that most of them don’t even require you to have a Kindle device. I’ve always seen the Amazon Prime vs Netflix debate as really a matter of preference. They both have loads of great content. It ultimately comes down to which TV shows and movies you want to watch. However, now that I’ve fully explored the benefits I’m starting to think Amazon prime is a must have service. You can test out all these benefits with a 30 day free trial to Amazon Prime on your own, but I wanted to go over all the goodies this service delvers for a price of $99 a year. Amazon Prime Instant Video is a streaming service offering well over 40,000 titles. They have an extensive HBO original series catalog with shows like “Girls”, “Boardwalk Empire” and “Veep.” Amazon Prime also provides access to hit cable shows like “Orphan Black”, “Justified”, and “Sons of Anarchy”. If you want to catch up on broadcast network shows, you can watch full seasons of “Hannibal”, “Grimm”, and “Downton Abbey”. They even have their own award winning originals like “Transparent”. If you’re curious about the movies available, right now you can watch “The Hunger Games: Catching Fire”, “The Wolf of Wall Street”, and “Anchorman 2” along with thousands of other titles. All the movies and TV I’ve mentioned is free to watch with your Amazon Prime Membership, and I’ve only mentioned about 1% of what’s available with Prime. The free TV and Movie content seems endless, and they’re consistently adding new television shows and movies. There is content that you can choose to pay for, but it’s mainly TV shows that are currently airing. A “Prime” logo is in the upper left hand corner of the Movies and TV included with a Prime Membership. The TV and movies for sale don’t require an Amazon Prime membership to purchase. I’ve personally used this feature to craft my own cheap cable TV solution for currently airing shows I can’t live without. Yes. That’s right, free 2 hour shipping. When my wife originally picked up Amazon Prime, she did it for the free 2 day shipping. 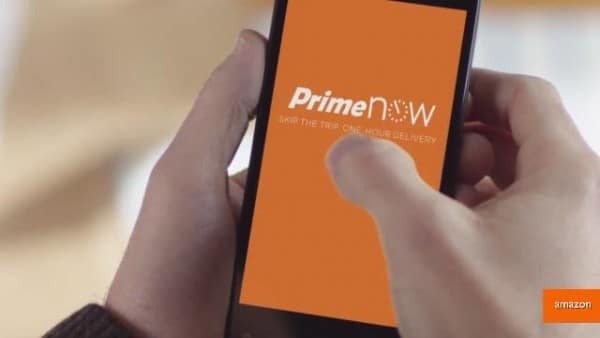 We were blown away when they recently upgraded their service to free 2 hour shipping with Amazon Prime Now. To top it off, they offer 1 hour deliver for just $7.99 if you live in in certain areas in and around New York City, Miami, Baltimore, Dallas, Atlanta or Austin. Living just outside of Baltimore, we were able to recently take advantage of Amazon Prime’s 1 hour delivery. My family was getting ready to leave on a road trip when our cat decided our smartphone car charger would be delicious to eat. He bit the cord in half while we were packing about 2 hours before we were going to leave. We jumped online, ordered a new charger, and it was at the door in 45 minutes. It really saved the day. Amazon Prime Music allows you to add thousands of songs to your library for free. Much of this is pop hits from artists like Meghan Trainer, Bruno Mars, and Daft Punk, but there are also songs from DMA’s, Cymbals Eat Guitars, and Deerhoof for those with more acquired tastes. Prime members also have access to Prime Stations which provide millions of songs from various artists. You can craft Prime Stations based on your favorite genre and artists, so you can hear the music you like without commercial interruptions. It’s your own personalized radio station without ads. Amazon Prime members that are also Kindle owners have access to the “Kindle Owners’ Lending Library.” Once a month you get to choose a free book to read from a selection of over 800,000 books. There is no due date, and the books are all current and former best sellers. This is a great benefit for casual readers to take advantage of. Having photos fill up your tablet or smartphone is such an annoyance. Amazon Prime provides you with unlimited photo storage via Cloud Drive. You can upload photos on your iOS, Android, or Kindle device and store them on the cloud to leave more room for apps, updates, and whatever else you may need. Cloud Drive cannot only be used with smartphones and tablets, but Macs and PCs as well. The most useful function is the ability to link multiple devices to your Amazon Cloud drive, providing access to all your photos and other files regardless of which device you are on. You don’t have to take my word for how useful Amazon Prime is. You can try it out yourself with this free 30 day Amazon Prime Trial affiliate link. Signing up through the link supports Grounded Reason as well via a commission paid from Amazon. Just don’t make the mistake I did and only use 1 or 2 of all the benefits that Amazon Prime offers.